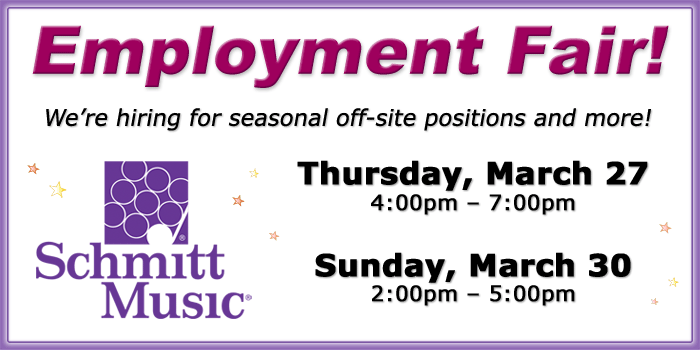 Employment Fair at Schmitt Music Minnetonka! 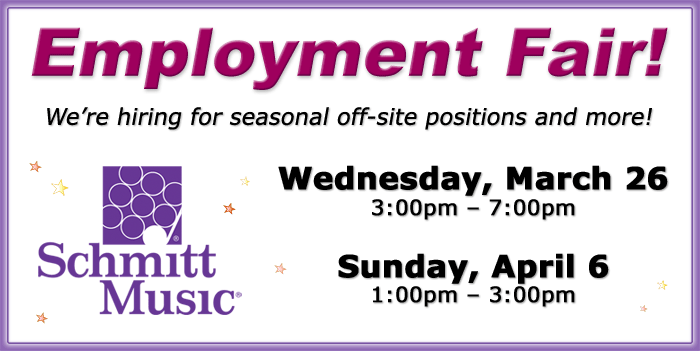 Employment Fair at Schmitt Music Fargo! 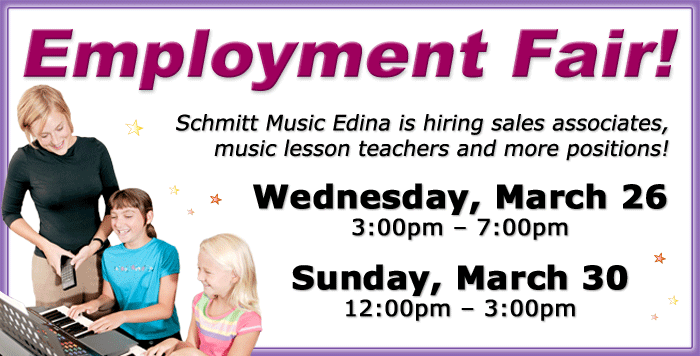 Employment Fair at Schmitt Music Edina!